It was not more than a decade ago that industry experts, policy formulators and other extraneous potential stakeholders attempted to convince the Government to embrace a more proactive strategy with regards to engaging the Chinese in greater trade. Over time, both the Asian behemoths have embarked on their individual trajectories of socio-economic progression. We may have our fair share of differences – political, ideological, economic, and military – but undeniable is the fact that a stable strategic relationship with the Chinese is integral to our future growth prospects as a rapidly emerging economy. Set in this backdrop, trade between the two nations has blossomed and China has gradually become India’s biggest trading partner. 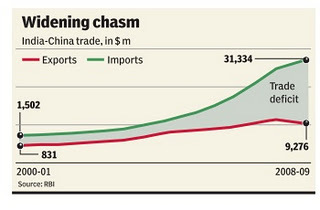 A measure of this can be gauged from the fact that trade with China has boomeranged almost 160% to amount to USD 24 Billion since 2006-07. However, a cursory glance at the figures is not liable to paint one a complete picture. While holistic trade over multiple sectors has certainly improved and increased by appreciable levels, India’s trade deficit with China too has also escalated. The trade deficit is the difference between a nation’s exports and imports with a corresponding trade partner nation. While imports of Chinese goods has risen from USD 17.6 Billion in 2006-07 to USD 43.5 Billion in 2010-11, Indian export to China pales in comparison, up from USD 8.3 Billion to USD 19.6 Billion over the same five year period. 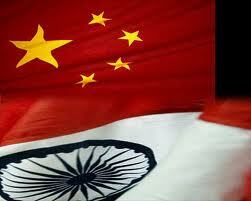 China accounts for more than a fifth of India’s trade deficit. This escalating trade imbalance has not gone unnoticed and has emerged as a domain of alarm for the incumbent Government. In its endeavour to tackle this growing deficit, the Government is exploring myriad measures. Amongst the many options the Centre is presently mulling over, imposing higher tariffs on a majority of imported Chinese goods appears to be a viable option. It proposes a blanket ban on specific products such as power and telecom equipment; sectors that are increasingly becoming dependent on Chinese imports at the expense of other domestically or internationally procured equipment and infrastructure. 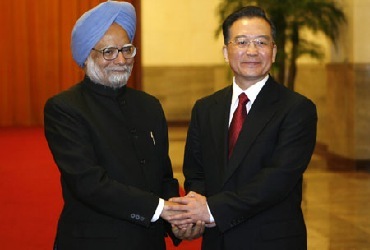 It also postulates that it should be made mandatory for Chinese companies to enter into Joint Ventures (JVs) with their contracted Indian firms prior to the import of heavy equipment and machinery from China; consequently marginally diluting their position of strength that they seemingly enjoy in the present scenario. There is also an increasing likelihood of gradually substituting Chinese goods with those from Japan, Taiwan and South Korea as a direct consequence of having to deal with lower tariff barriers. One must note that the Commerce Ministry hasn’t just drafted a modified “China Trade Strategy” overnight. The ever increasing trade deficit has been rightly taken cognizance of and brought to the notice of the concerned authorities as well. Indian officials say that China has openly acknowledged the trade deficit issue but has continued to pursue its seemingly self-serving uni-dimensional ways and consequently, has done precious little to address the pressing situation at hand. In fact, China has shown scant regard for India’s repeated requests and proposals that could have significantly reduced the widening trade gap. Some of the requests include the reduction in import duties on Indian pharmaceuticals, agro produce, IT products, heavy equipment and machinery. China may have promised to look into the matter but as is often their wont, apart from furthering their interests by adopting a carefully calibrated market penetration and consolidation strategy (primarily through the effective albeit frowned upon use of Predatory Pricing), they have failed to take into consideration Indian concerns. Hence, the plainly evident lack of favourable response from China has compelled the Commerce Ministry to draft the fresh proposal in order to counter the increasing trade inequity. The Writer is presently pursuing his Bachelors in Business Administration at NMIMS, Mumbai. He attempts to address myriad issues of both domestic and global consequence, ranging from Business and Economics to Geopolitics...from Sports to Arts and Culture.